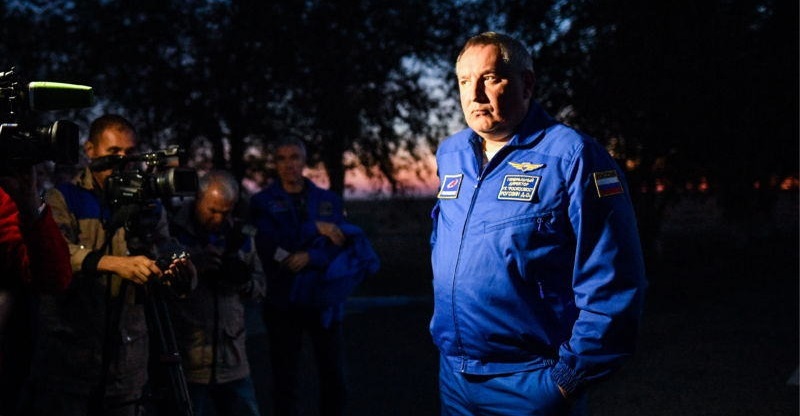 The relations between Roscosmos, NASA and the European Space Agency (ESA) must withstand political pressure, head of Russia’s state-run space corporation Dmitry Rogozin stated. "We would like the atmosphere that has established itself in this crew, the relations between the leading space agencies, between Roscosmos, NASA, the European Space Agency, and our other foreign partners to grow stronger and to withstand the vicissitudes of a changing and capricious political conjuncture. This is what the Roscosmos leadership is heading towards, at least," Rogozin said during the meeting with the crew that came back from the International Space Station in October 2018. He reminded that in 2022, the corporation is planning to start testing the new Soyuz-5 carrier rocket. "The International Space Station (ISS) will acquire a new nature and a new purpose. In the future, the crews will be working at a far greater distance from the Earth than the actual station. The Moon is a thousand times farther than the ISS," the Roscosmos chief said. Rogozin stressed that the corporation aims to form a crew of astronauts of various professions. "New achievements await the new generation," he said. In October 2018, Roscosmos cosmonaut Oleg Artemyev, as well as NASA astronauts Andrew Feustel and Richard Arnold, returned to Earth from the ISS.